“Restructuring” is a terrifying word. It’s probably the most consistently used term for laying people off. And it, unfortunately, saw use again today as NCSoft does a spot of “restructuring” by “reducing” staff. The layoffs have struck all of NCSoft West, with the exclusion of Guild Wars 2 dev, ArenaNet. According to an unnamed Carbine employee, talking to Polygon, the creators of WildStar were hit particularly hard, losing over 60 team members. Want more Wildstar? Here are the best Wildstar add-ons. NCSoft made a statement in regards to the layoffs earlier today. “Today we announced a restructuring of key operations within NC West. As a result of this restructuring, we are implementing staff reductions across our Western operations with the exclusion of ArenaNet. While decisions like this are always hard, they are necessary as we begin the implementation of a new strategy designed to strengthen our footing as a leader in global entertainment. 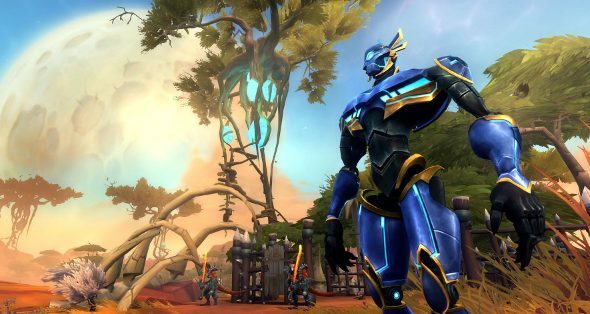 WildStar launched back in June to a fairly positive welcome, yet it exists as one of the few MMOs that charges a subscription, something only World of Warcraft and EVE, among notable MMOs, have managed to make work for them in the face of the model’s decline.